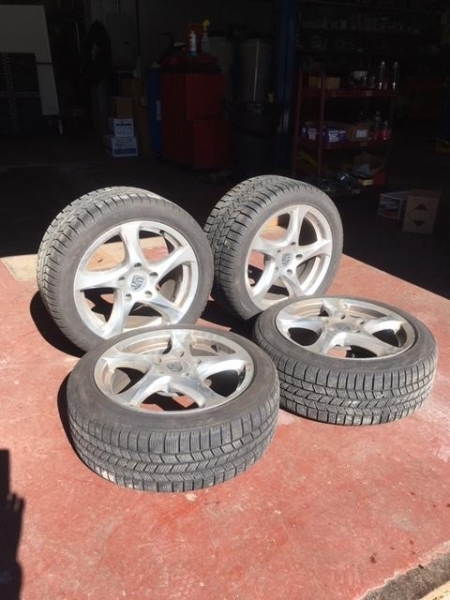 Selling a set of (4) 17" OEM Porsche wheels, and (4) Pirelli Winter Snow Tires, mounted and balanced. Garage stored. 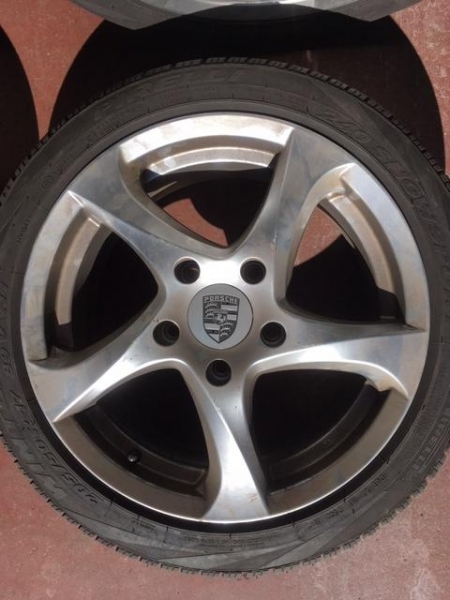 Wheels, with Porsche insignia, are a 5 bolt pattern. 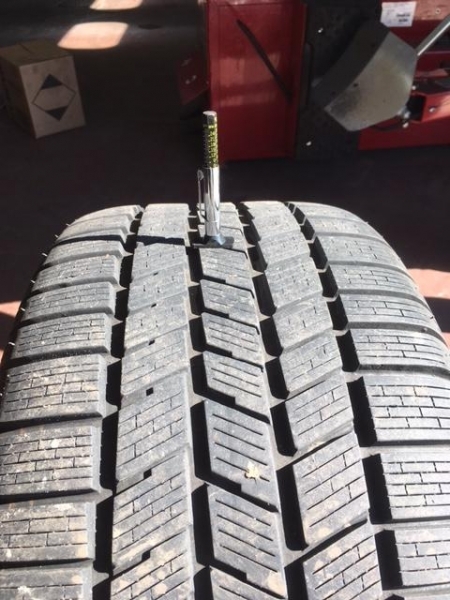 Front tires: 205x50R17 89 N1, (6/32 tread). In great condition, bought new for over $2600 in November, 2012, and used only 2 winter seasons. Pick up in Natick, MA.